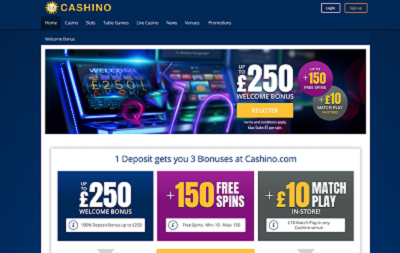 Cashino is an old school back to basics online casino which very much mirrors their high street shop approach. All the games are easy to find with its simple and concise layout, as are the promotions and bonuses which are all explained on site. The games load quickly and easily, and are all available on demo before you even sign up. Cashino is licensed by both the UK Gambling Commission and the Malta Gaming Authority. Combined with 9-hour daily customer support over email and telephone, and the level of support is exactly what you’d expect from such a bring brand like Cashino. The user experience on Cashino is very good, and even though the layout looks slightly dated, the seamlessness of the interface is really quite innovative. Switching from game to game is easy, as once you click through to the game it loads in screen and all you have to do to exit is click the ‘X’ and it takes you straight back to the selection of games. There is also a very good filter at the top where you can find the different types of games, and below that too in each section, there is another filter which allows you to easily differentiate between say; progressive slots, branded slots, and new slots. It’s a lovely little feature. Deposits and withdrawals can be made using major payment methods such as Visa, Mastercard, Maestro, Bank Transfer, paysafecard, Neteller, and Skrill. There is a minimum deposit is £5 at Cashino the minimum withdrawal is £10. There is no designated withdrawal limit. 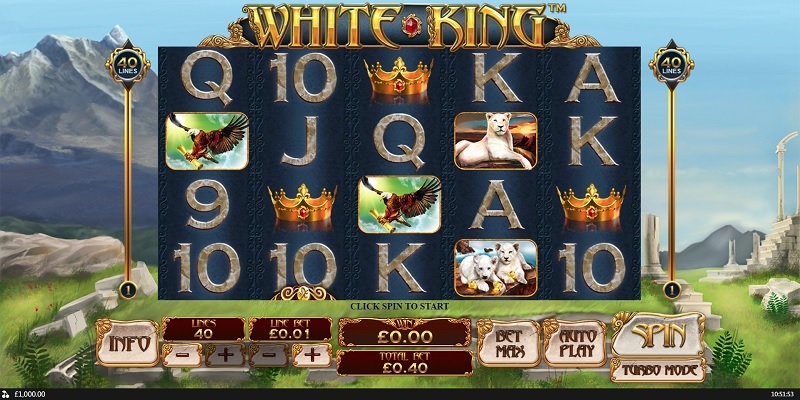 Cashino has a wide and varied selection of games on their network from the best software providers out there. There may not be quite as extensive as some other casinos on the internet but there is a quality section including progressive jackpot slots, and of course the table games of roulette and blackjack too. Players can also start out by playing for fun in the Demo Mode without signing up, and then once they find their lucky streak, players can switch over to real money. Most of the games are also available on desktop, tablet, and mobile. Cashino may not look all that impressive from the outside, but its backend is producing some very innovative and powerful results for its gamers. The interface is smooth and there is no waiting around at all to play games or just between games. The deposit and withdrawal system is great too, the £5/£10 minimum makes it easy for those just wanting to risk a little, but the fact there is no deposit limit means it is also perfect for those looking for a big win too. With continuous bonuses also thrown in along with the generous initial bonus, Cashino is a great place to win, and a great place to game.